It didn’t take long for a project financed by oil and gas pipeline magnate Energy Transfer Partners and its subsidiary Sunoco to literally blow up. The Revolution Pipeline, apparently named to honor its historic location in the state of Pennsylvania, exploded on September 11 a little after 5 a.m. A fire erupted shortly after, forcing dozens of homeowners in nearby Beaver County to evacuate. No one was injured, but cars and garages were damaged. And one home 500 feet away from the blast was completely destroyed in the fire. Construction on The Revolution was completed in February, and it had only been in operation since September 3. Investigators pointed to landslides in the region as a possible cause of the explosion. Company officials agree with that assessment. During a time when millions of people in the East Coast face record-breaking precipitation and hundreds of resulting landslides, that message isn’t exactly comforting. State lawmakers in Pennsylvania are now calling for oil and gas pipeline construction to be halted completely. But they face an uphill battle. Energy Transfer Partners is currently constructing another pipeline in the state called the Mariner East Pipeline. And Shell, a competitor, has major plans to build a new ethane cracker plant that would require more pipelines. “Today’s pipeline explosion in Beaver County was a graphic illustration of my worst fears – and the fears of many local residents – related to the construction of the Mariner East pipeline,” State Rep. Chris Quinn told the Daily Local. Royal Dutch Shell announced that it would build a plastics plant in Pennsylvania back in 2016. The project, set to be constructed in an abandoned manufacturing plant outside Pittsburgh, was initially hailed as a potential job-creator that could help people in northern Appalachia. But producing those plastics requires a new network of pipelines delivering ethane, a flammable mixture of natural gas and petroleum. The Shell Pipeline Company is now trying to win approval to construct a 100-mile ethane pipeline through northern Appalachia for that very purpose. The Falcon Ethane Pipeline, as Shell is calling the project, would be constructed through 25 different areas that are prone to landslides, Shell recently acknowledged in a permitting application. Environmental Health News is reporting that Shell identified 14 “landslide risk” areas along the route in southwestern Pennsylvania and nine others along the route in Ohio and West Virginia. Several of those “landslide risks” areas are near residential neighborhoods. Shell did not respond to the publication’s request for a comment, but researchers quoted said that the findings were troubling. "According to our analysis, the blast radius for the Falcon pipeline [in one town] is about 900 feet, so if there were an accident, all those homes are in the impact radius near the landslide area," Kirk Jalbert, a researcher at Arizona State University, told Environmental Health News. Local activists in the state have already been protesting and urging Pennsylvania's Department of Environmental Protection to reject permits for the pipeline, pointing to concerns that pipeline leaks may also contaminate local reservoirs. 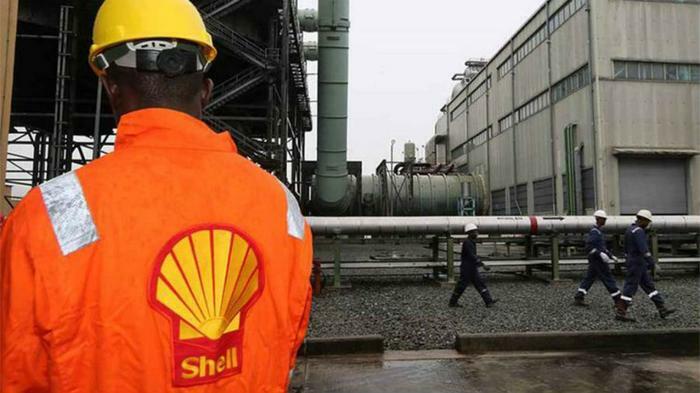 The state has told Shell that it needs to provide more environmental impact information in its application, but the project is still under review.